TOKYO – In recent days Mr. Toru Goto, the world’s best-known survivor of coercive conversion in Japan has won his case against his kidnappers in a Tokyo district court (FOREF published). Mr. Goto has been suing two professional deprogrammers who were paid to assist Mr. Goto’s brother and other family members to keep him in condo prisons for more than 12 years in a tragic, misguided effort to force him to change his religious convictions. The following installment relates the dramatic moments on the day Mr. Goto’s family members gave up their benighted effort and cruelly expelled him from the condo in February, 2008. The following testimony of Mr. Goto has been translated by Mr. Yoshi Fujiwara, the webmaster of Religious Freedom blogspot. Original documents in Japanese are uploaded in the blog operated by the Association to Support Toru Goto’s Court Case. In November 2007, my elder brother’s wife criticized me by saying, “How much do you think it costs to maintain this apartment? Do you know how badly you damaged the properties of this apartment? These must be repaired when we move out.” The damaged properties she mentioned were the kitchen shelves and accordion curtains which I had broken in in February, 2001 during repeated escape attempts. (I was overpowered every time by family members.) It looked like the financial burden to my family to maintain the apartment was becoming harder and harder. Also, they had a sense of crisis that they would have more troubles if I would carry out another hunger strike and starve to death. Around that time, I recall that members of my family started to have different opinions as to what to do with my confinement. Around January, 2008, I demanded a mirror to cut my hair and entered the room near the front gate where my younger sister was. My sister said to me in a strong tone, “Don’t come in,” and shoved me away by pushing my chest with both hands. I unsteadily stepped back, and my back hit the cupboard. My physical strength was at that low of a level at that time. However, at least two people stayed in the apartment at all times to monitor me. Pictured are the Shinjuku Skyscrapers, which Toru Goto saw on the way to the Head Office. I was angry. They had deprived me of precious time and many opportunities by the confinement for 12 years. Now, when things had not gone well, they were kicking me out without any money. I was furious about their outrageous act. I fiercely protested by saying, “It’s cruel to kick me out without giving me any money after a 12-year confinement.” We got into a scuffle, and my family forcefully tried to remove me out of the apartment. I resisted in vain by holding on to kitchen shelves, accordion curtains and any other places which I could, but I was lifted up, and they pushed me out of the front door. I was wearing just a house dress without shoes. I was pushed down (facing up) to the concrete floor of the hallway in front of the front door. I couldn’t get up and remained lying on the concrete floor when I overheard my brother’s voice, saying “Shoes, Shoes.” Afterwards, someone from inside threw my shoes at me. Then the front door was shut and locked. The back of my hand and wrist bled, and my sweater was torn. I banged on the front door, and I protested against the outrageous treatment in a loud voice. When I repeated the protest, my brother shouted, “Shut up!” from inside. I had no other way but to get on an elevator and go to the ground level. At the ground level, I saw letter boxes. A tag was placed to the room #804 letter box, and it was written “GOTO.” Also, I learned that the address of the apartment was Ogikubo 3-47-15, Suginami-ku. Although I was free, I was physically debilitated. I had no personal belongings, no clothes to change into, no guarantee of job and life. I didn’t know where my friends were. I was attacked by a feeling of anxiety as to how I would survive the situation. As I didn’t know where the Unification Church was in Ogikubo area, I started to walk to the Unification Church Head Office in Shibuya. I found a police sub-station soon after I started to walk towards east on Oume Street. I entered the police sub-station, and I complained that I had been confined in the apartment called Ogikubo Flower Home and that I had just been released. The police officer seemed to be shocked at the beginning. But once I started to talk about the details of the confinement, which was that my family members abducted and confined me for forcible conversion away from the Unification-Church faith, the police officer’s attitude suddenly changed, and he started to look at me suspiciously. Though I did my best to explain, he didn’t treat my story seriously by saying, “Weren’t your parents together with you? Didn’t they feed you?” I couldn’t help but think that to him it was ridiculous and complete nonsense. At the very least, I wanted to borrow some money. I said, “May I borrow some money as I have nothing on me?” The officer said, “Don’t you have any acquaintances in Tokyo?” I only could say, “I was just released from the 12-year confinement, and I have no one to reply on…” The request was rejected since I was an unidentified person. I asked him to give me directions to Shibuya, and I started to walk again. Fortunately, I could still walk for a while. Even while suffering an empty stomach during the no-food sanction, I had been doing some exercises in the confinement room for 15 minutes daily. It looked like the exercises had worked. I was worried about the time, thinking, “I have to get there before the Head Office closes.” It took about four hours to get to the intersection of Shoto 2-Chome in Shibuya. But I couldn’t walk at all at the intersection due to acute pain in my knees. Also, it was already at night, and I didn’t know which way I should go. At that time, I was wearing a sweater which was torn by the scuffle, worn-out knit pants, and leather shoes. My hair did not look good since I had been cutting it by myself. I was using a stick, and I must have looked homeless. It was the coldest month of the year. I realized that I might die that night. I could be frozen to death. I mentally prepared myself for martyrdom. Goto stands at the intersection where he met a fellow Unificationist who helped him to safety. I was determined to go forward as much as I could even if I had to crawl. I started to ask passersby how to get to the Unification Church. The second person I approached was coincidentally a Unification Church member who was on her way home. Even if it was by accident, I was surprised by the mysterious encounter. I felt God’s guidance, and I shivered with sensation. When I explained the situation to the sister, she taught me how to get to the Head Office. After she realized that I couldn’t walk, she called a taxi and paid the fare for me. I had not been treated as a human being during the 12-year confinement. I was so touched by her warm heart that I had not felt for so many years that I couldn’t stop tears running down. Thus, finally I arrived at the Unification Church Head Office alive. I explained the circumstances to the security man at the Head Office. He couldn’t believe my story of 12-year-confinement and treated me as a suspicious person. But he contacted someone who was in charge of abduction/confinement issue. The man said to the security, “I have information that a man called Goto was held in confinement for many years. This information had come from a member who had escaped her confinement.” The security man started to believe me and let me enter. The staff members served dinner for me and offered to let me stay there for the night. At bed time, I went to the toilet. But I only could crawl to the toilet. In fact, my physical state was so weakened that I couldn’t use the toilet. (I couldn’t stand up.) Around midnight, I was taken to Isshin Hospital in Kita-Otsuka by taxi. I was diagnosed at the emergency department as suffering severe malnutrition. I immediately was admitted to the hospital as I was unable to walk. After several examinations, I was diagnosed as having generalized muscular weakness, muscular atrophy, and anemia as well as malnutrition. Toru Goto at the hospital after 12 years and 5 months of captivity. I was admitted to the hospital around 2:00 a.m. on Feb 11, 2008. I was unable to walk due to acute pain in my knees when I tried to stand up. I had to use a wheelchair for 17 days, after which I used a walker. On March 4, 2008, I started to use both a walker and crutches. From March 10, 2008 I used a cane, but I was not recovered enough to go up or down stairs. My rehabilitation continued, and I was discharged from the hospital on March 31, 2008. However, I could not run nor walk briskly. If I walked for 30 minutes for shopping, I felt pain in my knees and ankles, and I had muscle aches in my thighs and calves on the following day. I could sit cross-legged on a floor, but I could not sit (in the Japanese way) with my legs tucked under me as I had pains in my ankles. Even now, three years after the release, I feel a sense of discomfort if I sit in the Japanese way. Also, after leaving the hospital, I couldn’t get up from the cross-legged position unless my body was supported by my arms touching the floor. I strongly believe that the 12-year-confinement and the damage to my knees caused by walking to the Church headquarters have left me with enduring after-effects. A few days later, after admission to the hospital, I suffered from gastroenteritis and had persistent diarrhea. It seemed that my level of immunity was down due to the protracted confinement. I hardly had glimpsed the outside world during the 12 years and 5 months of confinement. After the light bulb on my table lamp blew out at the beginning of 2006, I had to read without the lamp since my captors did not replace it. Also they stopped providing eye drops. My eyesight was 1.5 before the confinement, but it had dropped to 0.2 at the time of release from the confinement. Before the confinement, I could drive without corrective lenses. I can’t drive without glasses now. Of course, my driver’s license had expired, so I had to start all over again from scratch to get a license. Two days after hospitalization began, Mr. Kazuhiro Yonemoto, a journalist, visited me in the hospital. I recounted the story of the confinement to him, and I accepted his request to take some photos of me for the interview. The next day, Mr. Yonemoto visited the Ogikubo Sunflower Home (the confinement apartment), and also visited Mr. Miyamura’s home for an interview. Miyamura [Mr. Goto’s deprogrammer] came out, and he and Yonemoto could talk for a short while. 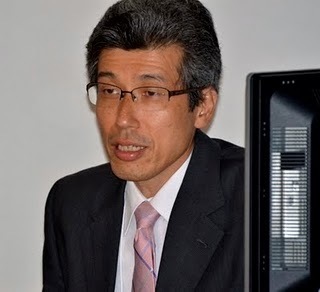 According to Yonemoto, Miyamura admitted that he visited the confinement apartment to convert me. Also, Miyamura explained my severe malnutrition to Yonemoto this way: “It was because Goto did fasting.” (See Kazuhiro Yonemoto’s statement, dated on March 5, 2008.) Fact was, it was in April, 2004 when I started my first hunger strike. Miyamura’s last visit to me in the apartment was February, 2001. It is very clear that Miyamura had kept in constant contact with my family and continued to conspire to confine me. I had no choice but to carry out hunger strikes in order to press for release from the confinement. If I had not gone on hunger strikes three times, risking my life (21 days in 2004, 21 days in 2005 and 30 days in 2006), I would not have been released. If they had resumed normal meals after the hunger strike in Apr 2006, my weight would have been back to normal at that time I was released on Feb.10, 2008, which was 1 year and 11 months later after the hunger strike. I would like to add that I attended the Unification Church’s wedding ceremony in September, 2008 after the release, and got married. As my wife did not have brothers, and the family had no heir, I decided to change to my surname to my wife’s surname, which is Iwamoto. I now feel some small happiness to be married and to settle down in my 40s after such a long time. Japan’s constitution guarantees religious freedom. The acts of confining me for 12 years and 5 months to make me leave the church, making me suffer physically and mentally in order to coerce me to abandon my faith are nothing but torture and must not be tolerated. What kind of crime did I commit to deserve 12 years and 5 months confinement? My elder brother and his wife chose by their free will to become the Unification Church members and had faith in the Unification Church. After they left church, they lied by claiming, “They were forced to join the church against their will and forced to get involved with the church activities.” Then they filed a lawsuit called “Lost Youth Compensation Case” against the Unification Church and won compensation from the church. By contrast, I was continuously confined in a small room from the time I was 31 years old until I was 44 years old. They deprived me of not only my freedom of religion, freedom of marriage, freedom of choice in employment, freedom of movement and freedom of vote, but they denied and violated my human dignity. They spoiled my precious life. I continued to endure criticism, smear and defamation which degraded my humanity, and also physical violence in the confinement room. I endured forced starvation, while I was continuously pressured to withdraw from the church. The more I experienced the cruel and brutal treatments from the captors, the more I was convinced that Miyamura and my family members were evil creatures. In spite of physical and mental abuses during the 12 years and 5 months confinement, one of the reasons I didn’t lose my faith was that I was determined not to join such an evil group even at the brink of death. Also, I was filled with a sense of responsibility that I had to expose these evil human rights violations to the public. I would like to ask you to judge fairly, and wish you to raise an alarm against the forcible deprogramming practices which are occurring even now carried out by the deprogrammers including Matsunaga or Miyamura. I also wish not only for my personal relief, but that these human-rights violations during coercive conversion shall stop. Reprinted with permission, courtesy of Yoshi Fujiwara. This entry was posted in Uncategorized and tagged forced abduction, Goto, Humanrights, Japan, Kidnapping, Religious Freedom. Bookmark the permalink.